The Supreme Court will hear three appeals this week in what is the final week of the Trinity term, before the courts break for the summer recess from 31 July to 30 September 2010. On Monday and Tuesday afternoon, Lords Phillips, Rodger, Walker, Brown, and Sir John Dyson SCJ will hear Joseph v Spiller which is the first libel case to be heard by the Supreme Court. The case involves the scope of the fair comment defence to a claim for libel and is notable for the fact that Associated Newspapers Limited, Times Newspapers Limited and Guardian News and Media Limited have been granted permission to intervene in the case and have made written submissions in order to assist the court in clarifying the scope of the defence generally. Our case preview is here and the case details can be found on the Supreme Court website here. 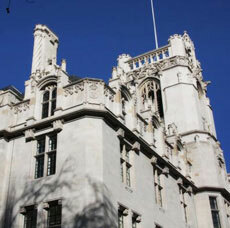 On Tuesday 27 July 2010 Lords Walker, Brown and Mance will hear Morge v Hampshire County Council. The case is a late addition to the court’s list and involves a challenge to the granting of planning permission for a new bus way due to the environmental harm it will cause, including the significant impact on the local badger population. The case details can be found on the Supreme Court website here. On Wednesday and Thursday, Lords Saville, Mance, Collins, Clarke and Sir John Dyson will hear Global Process Systems Inc and another v Syarikat Takaful Malaysia Berhad. The case stems from an accident that occurred while an oil rig was being shipped from Texas to the East Coast of Malaysia and turns on the correct interpretation of section 55 of the Marine Insurance Act 1906. Our case preview is here and the case details are here. (v) Morrison Sports Limited and others v Scottish Power (Scotland) – see the case details here and our preview here. There are no hearings scheduled in the Judicial Committee of the Privy Council this week and no judgments have been announced for hand down. Leave a reply on "In the Supreme Court w/c 26 July 2010"